I've just begun downloading my new PDFs from the paizo site. B) The campaign presumes 4 players. D) I've bought nearly every pirate model Imperial hobbies/Hourglass has to offer. Call dibs on yours now if you feel so inclined and I'll begin painting them shortly. F) Another campaign with largely separate players will likely be concurrent. G) You begin the campaign being press ganged onto a pirate ship. Core Rulebook Races + orcs are permissible, one token member of an exotic race may be acceptable. Check with me about any familiar or animal companion, the first adventure has plot requirements as to how to include these. Nathanial 47535 +12 +2 Holy Xbow bolts. Note: Party treasure stash is no longer needed to be maintained at such a high level because the tiara can res party members. I liquidated 100k of party treasure and dished that out as well, I did not give a share of that to Kianna. Oh sweet goodness, the Paizo Staff have started their equivalent to the "List"
Wanna earn some Hero Points? Here's some fun ideas. Painting I've got a bunch of monster models on the go, Paint two medium models, or one larger model for 1 hero point potential painting party next week mayhaps? I'm considering issuing hero points as a reward for service to the group, eg: treasury, chronicle, painting etc. Characters would not gain hero points for leveling up. I feel this may be a better approach to ensure that bookeeping and so forth gets done, If you're the group "chronicler" then you're generally the person who does the chronicle and would have right of first refusal as it were. I welcome your input, there may be a vote or some such at the next meet. The one item I'm likely to disallow for hero points is rerolls. As i'm envisioning it Hero points would be available only for OOC group service. In order to be fired a cannon must be removed from a portable hole and assembled as per the rules in ultimate combat (p 159). The reason for this is geometry as cannons are not designed to be fired vertically up out of the hole. Some notes on Firearms and Gunslingers. I've recently updated our rules to be in kilter with the beta gunslinger rules from Paizo. Firearms have been part of our campaign world for some time, the short folk of the deepinghome closely guard the secrets to their creation. Some progressive dwarven patrols carry muskets instead of crossbows though they seldom see more than singular use in a skirmish before being discarded in favour of axes as the foes, usually goblins, charge into melee. Gunslingers NPCs exist, I'm open to gunslinger PCs also but it would be a future development subject to a group discussion. For the moment those who know how to craft firearms without exception work for the monarch of the deepinghome and gunslingers are exclusively servants of the same. In the parlance of the Ultimate combat Playtest 2 document, the world as a whole is operating as "Very Rare Guns", while NPCs in the Deepinghome are operating under "Emerging Firearms". While we're talking about ultimate combat please let me be clear, Samurai and Ninja have never been permitted in my campaigns and I'm not planning to start now. Firstly because these are just Japanesse for Fighter and Rogue, and secondly because fantasy oriental culture isn't really expressed in our campaign world at this time, mostly due to my lack of understanding. The Entire Party is Level 11, ready your character sheets and prepare for the horrors of "Adventure 11: The Golden Path"
Vote here for the best of the RPG industry for 2010.
d20pfsrd.com, Pathfinder, and PathfinderWiki are in the running. I hope you'll seriously consider voting for those products we use regularly in our game. The List is true resurrected! A) The party is level 10, please submit your character sheets on the site. B) For the purposes of the Post Counter the exploration of skyhold dungeon counted as 3 adventures. resurrecting Kianna and trying to resurrect Graster. Joint Posts on any of the above topics will be worth 50% additional experience. 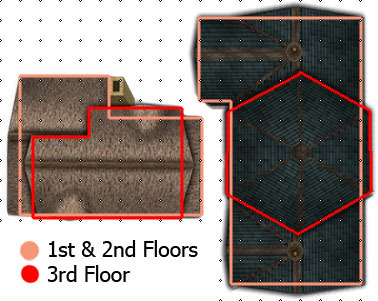 Post your floor plan for one of the towns two inns under renovation to receive an EXP bonus. 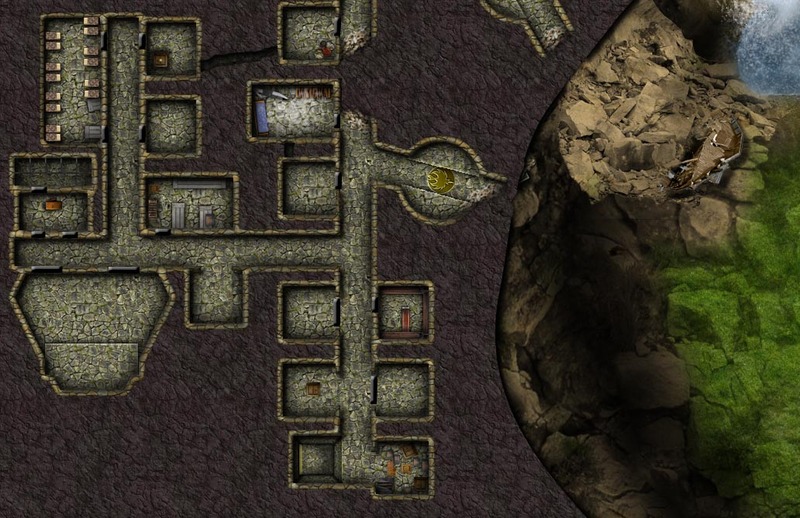 It may be useful for you to be aware of some guiding assumptions made in creating this monstrously large dungeon. Compatibility with the Pathfinder Roleplaying Game requires the Pathfinder Roleplaying Game from Paizo Publishing, LLC. See [http://paizo.com/pathfinderRPG] for more information on the Pathfinder Roleplaying Game. Paizo Publishing, LLC does not guarantee compatibility, and does not endorse this product.